Whether you are on board with the whole global warming theory and/or our contribution to this cyclical heat increase, you still are aware of the rising electrical costs and their effect on homeowner’s monthly budgets. And as we all have witnessed, once electrical costs go up they do not go down. We also know of the blackouts experienced in <?xml:namespace prefix = st1 ns = "urn:schemas-microsoft-com:office:smarttags" />California and other states and how dependable energy production is uncertain. With these uncertainties and rising costs, renewable energy has become more attractive as we scramble to meet the needs of a growing US economy. We have only to review the past to see how civilizations dealt with their energy needs. Prior to the discovery and commercialization of oil, there was wind. Wind has been used as a power supply for a long time. The Babylonians and Chinese were using wind power to pump water for irrigating crops over 4,000 years ago and sailing boats long before that. 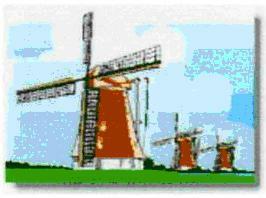 Wind power was also used in the middle Ages to grind corn, which is where the tern “windmill” comes from. There are several advantages from wind power generation. Wind is free and wind farms need no fuel to operate. These farms produce no waste or greenhouse gases and the land beneath the wind turbines can usually be used for farming including crops and cattle. Because wind is many times produced in remote regions, it is a good method of supplying energy for these areas. There is also the very popular theme that renewable energy is protection against rising energy prices and dependence upon foreign oil. Belief in wind power is shared by some of the largest energy producers and they will expand their investment globally from $5.5 billion in 2002 to over $49 billion by 2012. In fact 20% of Europe’s energy needs are powered by wind. As with any energy source, however, there are disadvantages and these must be weighed. Remember that wind is not always predictable and cities may prohibit installation. As companies have found out in trying to install wind turbines off the eastern seaboard, they are not always welcome. While wind turbines are grounded, they may be affected by lightening and with very large installations there is some noise pollution. Because of the market for residential construction, engineers have designed smaller turbines that are suitable for residential usage. The blades are curved and aeronautically designed so that they are quite and suitable near cities and rural communities. The process of electrical generation with wind turbines is relatively simple. The Sun heats our atmosphere unevenly so some patches become warmer than others. These warm patches of air rise. Other air blows in to replace them and we feel a wind blowing. The wind pushes against the propeller blades that rotate to turn gears and the generator inside the turbine and these produce electricity. Wind turbines can produce some electricity in light winds but as wind speed increases, power increases by a greater factor. This ratio of increase is proportional to the cube of its speed. As an example, if wind speed increases from 10 mph to 20 mph the power available increases from 1,000 watts to 8,000 watts (2x2x2=8). Therefore, more efficient production will be obtained in areas where the wind blows strongest. 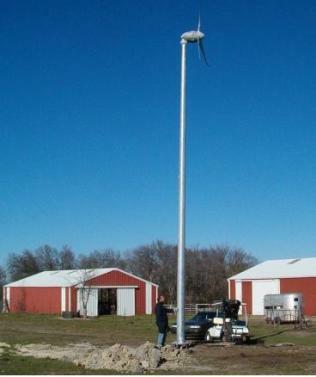 Height is also a factor since the higher the position of the turbine, the more available wind. As a rule of thumb, a 5 fold increase in height will result is doubling the energy output. As with many other ventures, the old adage; Location, Location, Location is appropriately important. 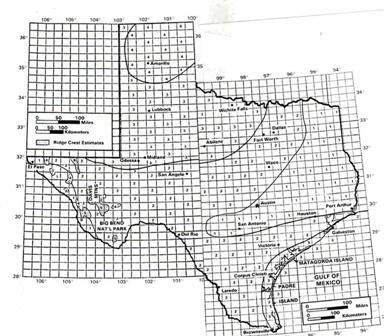 For Texas, the following wind map shows why most of the wind farms are located in west Texas. With residential installation there are obstructions that distort or block wind streams. 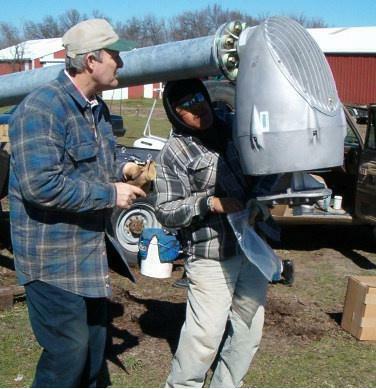 Therefore, it is important to install these turbines away from utility lines, 20 ft above surrounding objects and out of line of reception with satellite dishes. There is also a need including installation and servicing that there be a clear lay down line on the property. There are pole options for residential turbines including guyed poles, monopoles and lattice towers. For economy of space, ease of installation and servicing economies, the monopole which can be installed with a gin pole has proven to be the best. There are two types of foundations; the drilled pier or a footing. Either of these options is viable in most soil conditions but for installation in clay soil the drilled shaft is superior because of its resistance to expansive soil movement that may create distortion to the required vertical alignment with a footing foundation. Therefore, this segment of the renewable energy industry has extreme potential for drilled shaft contractors. 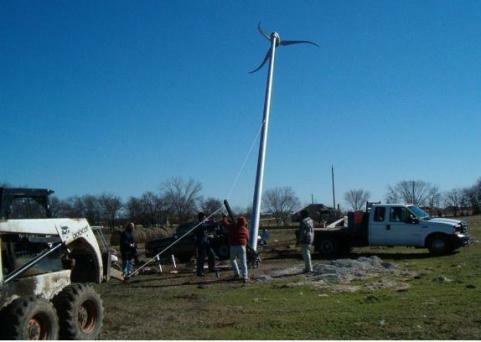 Because my wife and have a home at the outskirts of the small town of Van Alstyne, there are no restrictions for a wind turbine and by National Law, if a homeowner produces more energy that they use the power company has to buy it back. Therefore, after a long study and investigation of available models, we purchased the appropriate equipment and used our drilling business skills to install our own turbine. The foundation consisted of a 24” diameter drilled shaft with 12- #8 straight bars and #4 stirrups, 9” o.c. and the 1” diameter “J” bolts set at the top to receive the 10 meter monopole tower. Soil conditions dictated penetrating an approximate 4’ of clay soil, 5’ of Austin chalk and then 7’ into the gray shale. Each location is different and provides different subsurface challenges. Therefore, the services of a foundation engineer are critical to providing stable support. 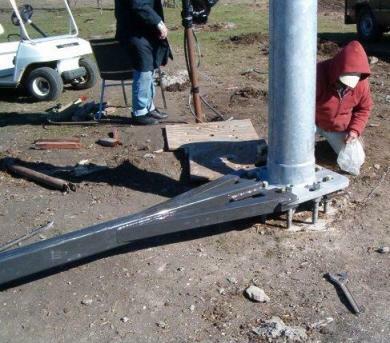 After the foundation concrete cured for 7 days, the tower pole was moved into position at the base with a hinge bolted to the bottom and to the projecting “J” bolts. 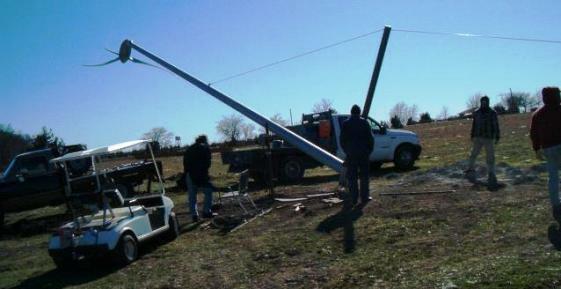 The electrical line is run through the pole and installed from turbine to cut-off switch. 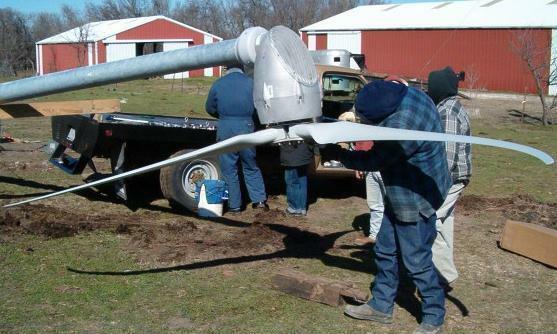 The turbine is then bolted into the top of the tower with the blades and antenna installed last. Many of the old timers will remember using a gin pole that provides leverage to lift a pole without having to have a crane. 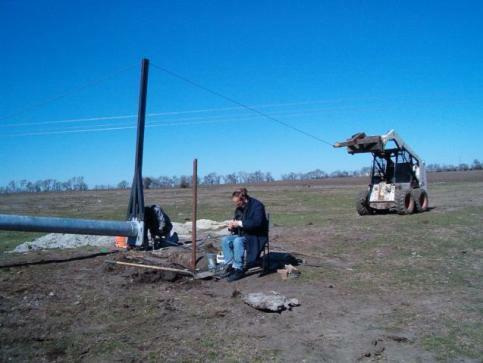 With a sturdy hook up the tower to attach a cable from pole to gin pole and then a cable from top of gin pole to bobcat (I use them for everything), he pole was carefully lifted into place and secured at the bottom. The lift line is kept moving steadily with my crew helping to maintain stability as it reaches vertical. When the pole reaches vertical the nuts are added to provide stability and the hinge is removed until needed for maintenance. Because of the distance from our meter, 6 gauge wire is used to a utility company cut-off box that will be used in case of a problems on the main power line. The turbine has been operating and on occasions where the wind is strong enough, the meter actually turns backward. Most of the time, however, this is a supplement that should pay for itself in 7 to 10 years. Another bi-product of this installation is that S & W Foundation will have another avenue of diversification, should the economy turn down. Because of the ease of installation and politically correct nature of the process, it would appear wind turbines will become a more familiar scene on the horizon of suburban America.